The Baptist Joint Committee for Religious Liberty correctly criticizes today's National Day of Prayer here in the US. “The government shouldn’t be in the business of telling the American people what, where or when to pray or even if they should pray,” said J. Brent Walker, executive director of the Baptist Joint Committee. I personally encourage prayer/meditation/reflection on a regular basis but for POTUS to officially "ask all people of faith to join [him] in asking God for guidance, mercy, and protection for our Nation" is unnecessary. While courts have ruled thus far that the National Day of Prayer is not technically unconstitutional, those of us who stand up for religious freedom in every sense (freedom of religion, freedom for religion, and freedom from religion) recognize that these types of actions only serve to further tear down the wall of separation between church and state. “There is little if any coercion of anyone’s conscience, and most Americans are unaware of the occasion,” said K. Hollyn Hollman, general counsel of the Baptist Joint Committee. “But actual coercion has never been the standard for judging whether government has overstepped its bounds in promoting religion. 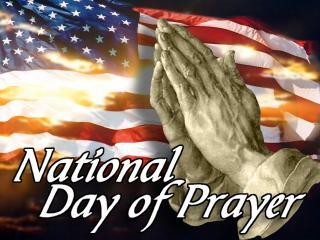 Even though the National Day of Prayer was not held to be unconstitutional, it is certainly unwise,” Hollman said.